AVIVA Rental Systems is your one-stop source for wide-screen, UHD, LCD and Smart television monitor rentals. AVIVA Rentals carries a UHD or LCD television monitor to fit every size facility or room and every budget. If you are talking large and wide screen monitors for rent, you need to be talking to AVIVA Rentals. Call AVIVA Rentals at 804.353.9212 or toll free at 877-564-9143 for pricing on a 20", 32", 42", 55", 60" or 70" LCD or UHD television monitor, or e-mail our Event Director at doe@avivarentals.com with details of your LCD and UHD monitor rental needs. You have 4k content, AVIVA has 4K/UHD monitors. What, you ask, is UHD? UHD, as introduced by the Consumer Electronics Association in 2012, stands for Ultra High Definition. More commonly known as 4K, UHD is an umbrella term that encompasses higher resolutions (more pixels) than HDTV, as well as more realistic color and higher frame rates. 4K/UHD means the monitor's screen has a minimum resolution of 3,840 pixels wide and 2,160 pixels high, Originally known as "Quad HD," this resolution is used by basically every 4K TV. Clear as mud, right? The good news is, if you have actual 4K content to show, AVIVA has a 4K/UHD monitor for you. 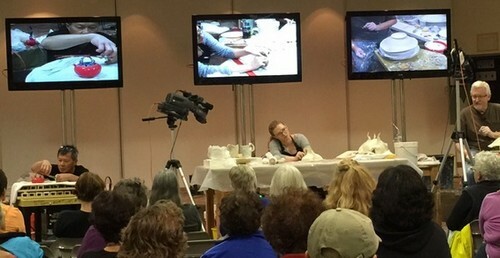 Multiple 60 and 70-inch LCD monitors displayed overhead, accompanied by the Analog Way Pulse2-3G Hi-Resolution Mixer Seamless Switcher to control the multiple input signals. AVIVA Rental Systems also carries VIZIO&apos;s 42-inch class LCD HDTV with VIZIO Internet Apps® to put the best of the web right on your TV, giving you instant access to VUDU™, Netflix™, Hulu Plus™, Pandora®, Facebook™, Twitter® and more. With built-in WiFi for easy set-up, this HDTV also boasts 1080p Full HD for a superior picture at an amazing value. Its ambient light sensing technology ensures a perfectly-balanced picture that&apos;s never washed out or too bright. Rent before you buy. 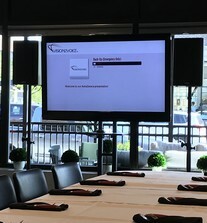 Also available for rent from AVIVA Rental Systems, a 60" Sharp AQUOS LCD monitor with Quattron 4-color technology. Quattron 4-color technology adds yellow to the conventional red, green and blue color filter, enabling more colors to be displayed, allowing never-before-seen colors to LCD TVs, like sparkling golds, Caribbean blues and sunflower yellows without overdriving the panel. If you want a REAL ATTENTION grabber at your trade show booth, call AVIVA and reserve the 60" monitor today! Wide screen LCD and UHD television monitors are great for commercial display applications, including, storefront advertising. Get window shoppers' attention with a wide-screen presentation of your business' products and services. 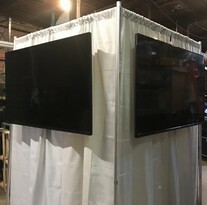 Wide screen monitors are proven to increase and retain traffic around exhibit space at trade shows and conventions. Wide screen LCD and plasma televisions monitors are indispensable for allowing your employees to attend virtual events like webinars or web conferences. OK, no AVIVA does not rent out jumbotrons. But with a couple of extra wide-screen monitors from AVIVA, all your guests will get the picture! 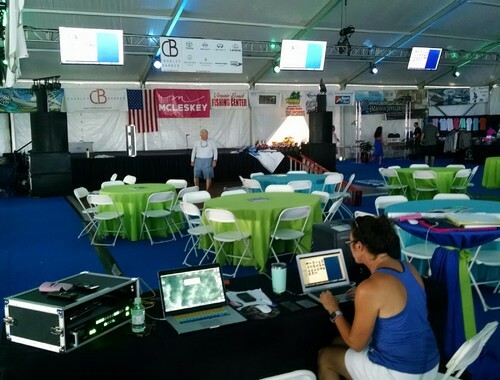 From business presentations, to broadcasting the wedding nuptials to the guests in attendance, to broadcasting the keyboard at a piano recital or, of course, the big game, AVIVA has all the wide-screen monitors you need. Set up a wide-screen for an alternative programming room, during the big game and your wife and her friends will love you for it! Ask the sales staff at AVIVA Rental Systems about our LCD and UHD TV monitors for your next conference, meeting, event or Halo party.